Both key note speakers will address how to improve writing, feedback and pedagogy to raise aspirations, improve independent learning and raise the level of challenge in teaching. There will be a comprehensive programme of workshops facilitated by local and regional school practitioners and independent organisations. The workshops will include topics such as: engaging early writers, developing handwriting, whole class teaching of reading, how to plan effective teaching sequences for writing, using classic texts to develop writer skills and using web based opportunities to showcase children’s writing. 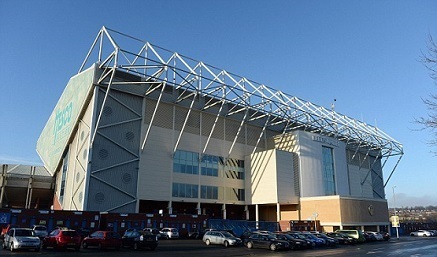 All of this will take place amongst the excellent facilities of Elland Road Stadium, Leeds and will be hosted by Leeds City Council School Improvement Team, who have a proven track record of delivering high impact professional learning. Alongside the Conference, a range of companies and organisations supplying to both Primary and Secondary Education will be displaying their products and services. This event is likely to be very popular and companies wishing to exhibit are urged to book their space as soon as possible. 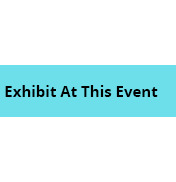 Please view the list of those exhibitors already participating and contact us should you be a Company wishing to take advantage of this excellent opportunity to promote your activity in this marketplace. Delegates are requested to register using the ‘delegate registration’ button to the left of this page and to select ONE workshop in each of the two sessions. Workshops will be allocated on a first come, first served basis and, in the event of a workshop being full, delegates will be asked to choose alternatives. The cost per Primary delegate is £210 for those from SLA Schools and £240 for those from non SLA and non-Leeds schools. Leeds Primary Conference Package schools have one prepaid place. Secondary Leeds Learning Partnership (LLP) schools have two prepaid places at this event and will be charged at the discounted rate of £210 for all additional delegate places. Secondary non-LLP and non-Leeds schools will be charged £240 per delegate. Delegates registering before 31st January 2018 will receive an Early Bird 10% discount; £189 for SLA schools and £216 for non-SLA and non-Leeds schools. Schools will be invoiced directly from Leeds City Council following registration on this site. In this workshop, Bob will be exploring with delegates how quality texts can be used imaginatively to improve reading skills and stimulate quality writing, especially at key stage 3. Bob’s ‘Opening Doors’ series, winner of the Educational Resource Award for 2017 in the ‘educational book’ category, emphasises access strategies and the importance of all learners’ entitlement to literature. This workshop will be useful for transition thinking too, as the opening doors strategies are helping schools across the UK build creative English progressively through key stages 2 and 3. This workshop will provide an opportunity to focus on how we can practically improve the quality of children’s writing, from planning to teaching and learning. Andy will explore the use of WAGOLL, ‘Blue Peter’ instruction, high quality feedback and writing challenges that make learners want to strive for excellence. This workshop will focus on the importance of handwriting, as writing fluently and legibly is crucial for composition. We will examine approaches to teaching handwriting and the physical and emotional challenges some children face when learning to write. Drawing on guidance and research from the National Handwriting Association (NHA) and the Education Endowment Foundation (EEF), we will look at the necessary skills needed for handwriting to continue to be an essential way to communicate and how to formulate a whole school policy as an English subject leader. In this workshop the benefits and challenges of developing a multi-dimensional approach to teaching reading including whole class reading sessions as well as small group and individual reading sessions will be discussed and explored. Megan Begley will describe how reading results at HR&SA’s have improved dramatically through the introduction of whole class reading sessions alongside small group work and individual reading sessions and will share practical strategies and planning sequences to illustrate the process. Therese O’Sullivan will explore the key role that speaking and listening (discussion) plays in developing an in-depth understanding of text and will also look at the art of summarising a text and share ideas for differentiating this activity in whole class sessions. Regular reference will be made to how these approaches and strategies can also improve writing outcomes for pupils. This workshop is specifically for secondary History subject leaders and will support the increased requirements for History GCSE by exploring approaches that can motivate students to develop their technical vocabulary and widen their reading strategies in order to promote independent writing. Bob will be exploring with delegates how quality texts can be used imaginatively to improve reading skills and stimulate quality writing at key stages 1 and 2. Bob’s ‘Opening Doors’ series, winner of the Educational Resource Award for 2017 in the ‘educational book’ category, emphasises access strategies and the importance of all learners’ entitlement to literature. Bob will show how in-depth mastery approaches can build challenging, inclusive ways of teaching English. His opening doors strategies are helping schools across the UK build a richer, more creative English curriculum. Are you confident that you are using the best strategies to ensure children are fully engaged with their writing? How can we help children to become confident, passionate writers? Do you know how to make the most of children’s interests and ensure children apply key writing skills in their independent learning? This workshop will explore ideas to scaffold learning through purposeful contexts, enabling environments and guided support. The main focus is on simple and effective strategies that engage and motivate learners. The workshop will also help audit the writing provision in Early Years and Year 1, identify areas for development and share good practice from across the city. Raising writing outcomes remains a priority in Leeds so that we can close the gap with national and this workshop will support that aim. Simon is now working with schools across the world supporting them with writing and in this workshop he will share with you a range of brilliant free resources and ideas which teachers can use and access immediately to impact on writing in schools. He will also share how schools can give children a real worldwide audience for their work on a range of platforms to make writing more exciting for pupils. Pobble.com is an exciting way of using technology to making writing truly inspirational for children. It was originally intended as a simple on-line bank of children’s writing to give other professionals in education from around the world ideas for their practice. However, what developed was a large worldwide community of enthusiastic people all passionate about children’s writing. This innovative website is now taking the education world by storm! As well as being absolutely inspirational to young writers, one of the reasons why Pobble has taken off in so many schools is that it has been created with the busy teacher in mind! In this secondary workshop, Andy will explore different strategies for improving the use of exemplar material and how to engage students in feedback to ensure progress and to raise challenge. Andy Griffith is a highly sought after consultant and trainer on motivational learning and innovative, high impact teaching and learning. After teaching full time for 12 years in secondary schools, he moved into educational training and consultancy driven by the mission to enable young people from whichever background to achieve their full potential. Andy has been recognised in the prestigious TES School Awards for his range of innovative education training courses, co-creating the intervention course Outstanding Teaching with Osiris Educational, which was short-listed for Outstanding Staff Training/Development Initiative in the prestigious TES School Awards 2009 and 2010. In July 2010 Osiris Educational (the biggest teacher training organisation in the UK) made Andy their trainer of the year. Andy has observed over 2,000 lessons and works directly with school leaders, teachers and young people, through a range of bespoke training and micro teaching. Whether delivered through well pitched, high quality INSET days, or education consultancy that motivates, provokes and energises, Andy’s passion is to enable teachers and schools to develop more effective ways of creating deep, memorable learning experiences for both learners and teachers. Bob has worked with a range of schools cross-phase and has delivered inset at national, international and county conferences, often in a leading capacity. He has now supported over 450 schools in their "search for excellence". Bob Cox is an advanced skills teacher with 23 years teaching experience and most of his ideas have been used in his own workshop sessions with pupils. Bob’s most popular briefs recently have involved ‘Pitching High’ key-notes, support for mastery learning, inspiring more able learners and a whole range of strategies connected with his ‘Opening Doors to challenge English for all. In March 2017, Bob became an award winning author!